Patient wildlife searchers will be rewarded in the Lamar Valley ... Spend the day 'glassing' (using spotting scopes and binoculars) and searching for Yellowstone's wolves and bears, amongst herds of bison, elk, and pronghorn. Create plaster cast tracks of the predators, whose paths you cross. Picnic along one of Yellowstone's rivers, or take a short hike and picnic by a high alpine lake, as you search for otters. PLUS, explore the Grand Canyon of Yellowstone, and visit one of the Park's greatest geologic spectacles! Dive deep into Yellowstone with your guides and enjoy exploring "must see" icons of Yellowstone, along with a half day adventure on foot into Yellowstone's wilderness. Look for wildlife, visit geysers, the waterfalls of the Grand Canyon of the Yellowstone, and explore Yellowstone's backcountry. Great for families! Create your own plaster cast wildlife track, participate in citizen science projects for NASA, learn about the micro and macro ecosystems. 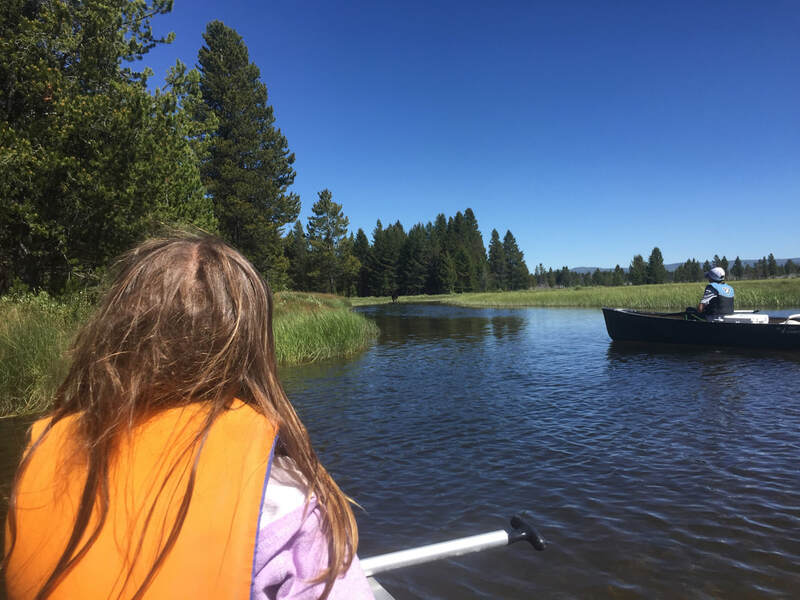 Package includes 3 naturalist guided adventures, transportation from your door in Big Sky or West Yellowstone, picnic lunch (full day only), YNP entrance and user fees. Our trips are tailor made to suit you! Family trips, friends groups, special celebrations, and more!